Neuroma, or Morton’s neuroma, is a painful foot condition caused by a pinched nerve. It affects women 8-10 times more often than men due to wearing shoes with narrow toes and high heels. Vern Christensen DPM, MPA and Jeffery VanYperen, Jr., DPM at Foot Specialists of Mississippi encourage you to get early treatment for a neuroma to prevent permanent nerve damage. To schedule an exam, use online booking or call the office in Amory, Mississippi. A neuroma occurs when nerve tissue thickens. This condition can appear anywhere in your body, but when it’s in your foot, it’s called Morton’s neuroma. Morton’s neuroma develops where nerves pass under ligaments, most often in the ball of your foot, between your third and fourth toes. The nerve thickens when it’s compressed and becomes irritated. As the nerve enlarges over time, you can end up with permanent nerve damage. Poorly fitting shoes are one of the top causes of Morton’s neuroma. You’re at a higher risk if you wear shoes with a pointed toe or high-heeled shoes that push your toes down into the toe box. Foot deformities such as bunions, hammertoes, and flat feet also increase your chance of developing Morton’s neuroma. An injury to the ball of your foot and repetitive activities like running are also primary causes of this nerve problem. Morton’s neuroma typically causes pain that may be dull and mild or sharp and severe. In some cases, your toes may feel numb, or you may experience a tingling or burning sensation in the bottom of your foot. Many patients say it feels like there’s a lump inside the ball of their foot or as if they have a stone in their shoe. Your doctor may prescribe roomier, lower-heeled footwear and extra shoe padding or orthotics to reduce pressure on the nerve. You may need to change your activities, eliminating repetitive pressure on the neuroma until the nerve has time to heal. Some men and women benefit from oral medications or corticosteroid injections to reduce inflammation and relieve pain. 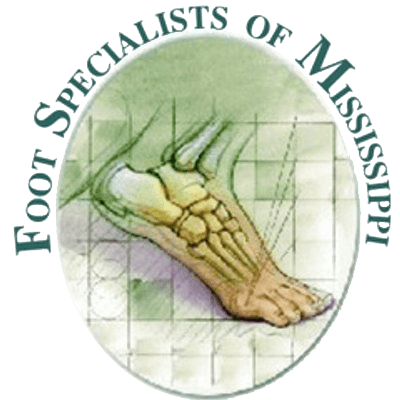 The doctors at Foot Specialists of Mississippi are highly experienced surgeons, so if your neuroma doesn’t respond to conservative treatment, they can perform surgery to remove the affected nerve. You can get relief from pain and prevent nerve damage of Morton’s neuroma by calling Foot Specialists of Mississippi or booking an appointment online.